About Us Review Us & Enjoy Reading Some Archadeck of Central CT Testimonials! Archadeck of Central Connecticut strives to give each of our clients an experience above all others. From our custom designs to professional installation and superior customer service, we want to exceed your expectations. 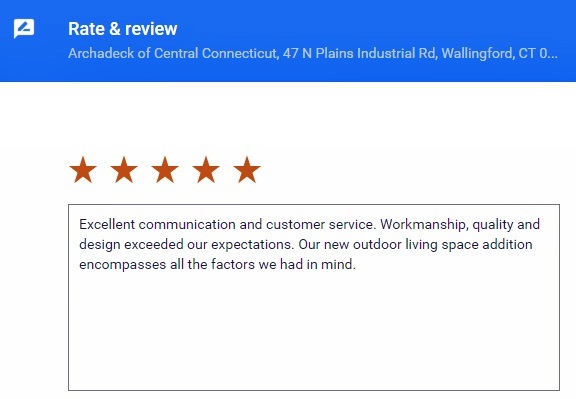 In turn, our customers refer us to their friends and family which gives us the opportunity to continue enhancing homes and backyards all around the Central CT, area. 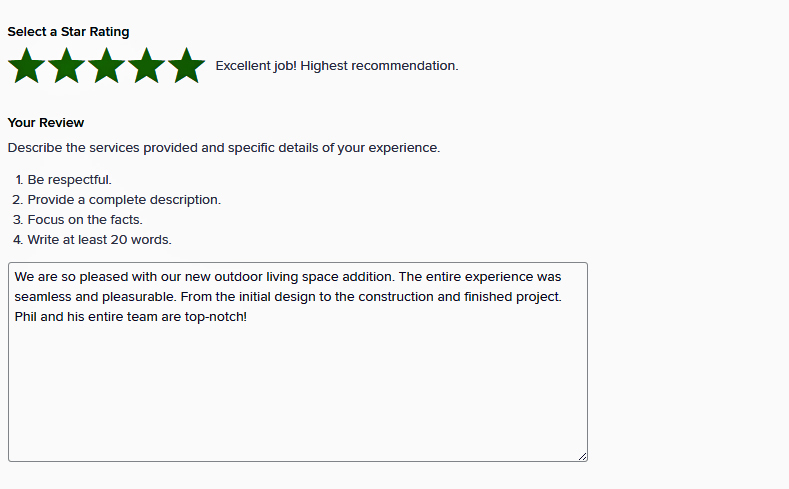 We’d love an online review from you too! Click to write a Google review now. 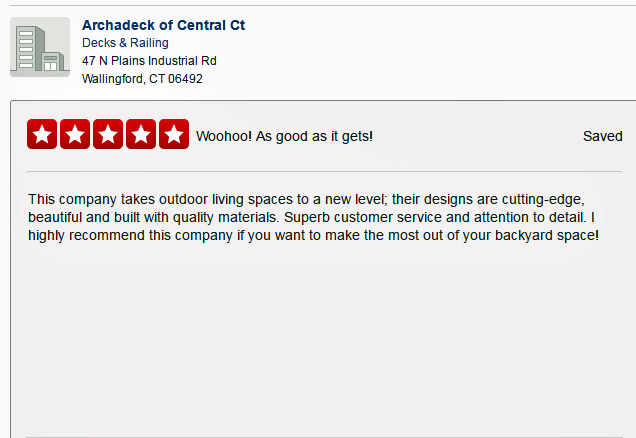 If you have a Houzz account, log in and click here to leave a positive review for Archadeck of Central CT on Houzz. If you have a Yahoo or Yelp account, please log in and leave us a positive review on Yelp. We are an accredited business on the BBB. We are very proud of our A+ rating and would love a great review from you on the Better Business Bureau. “My husband and I hired Archadeck to design and build our new deck. We have been very impressed with their professionalism, response time and willingness to discuss options based on our needs and budget. Their project management approach made it easy for us to understand the tasks to completion. The design process and build went smoothly. It has been an easy and enjoyable experience working with Phil and Paul.